Several years ago I had an idea for a book about an active, inquisitive ten-year-old boy. His name was Ronald Mack, but his friends all called him Cheesie. I envisioned him as full of life, talkative, smart, and funny…exactly the kind of youngster who’d get into complicated kid situations that would require clever kid thinking to get out of. I gave him a best friend, Georgie, and loving family…with one exception: an older sister who would be much happier if he’d never been born. I’m a Californian, and it would have been easy to build his world on the west coast. But as I began to write the first book in what will become a Random House series, Cheesie demanded to live in Massachusetts…Gloucester in particular. 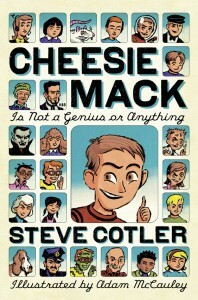 Today that book, Cheesie Mack Is Not a Genius or Anything, appeared on bookshelves across the country. Cheesie is my little boy, and I held him in my arms this afternoon. 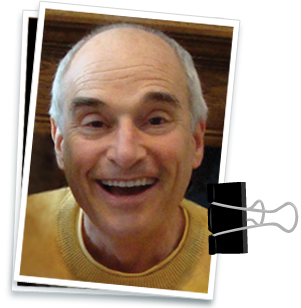 Written by Steve Cotler on March 22, 2011 at 4:58 pm and filed under Cheesie Mack, Literature/Books. Welcome to the family, Cheesie! I am so proud of you Steve! The buzz at Blossom Hill Elementary is huge! You will once again arrive to a Rock Star’s welcome.